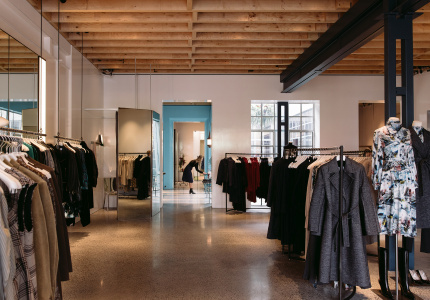 On Johnston Street, just down the road from the Keith Haring mural, lies a different kind of nod to street culture in the form of menswear store Hand 2 Hand. 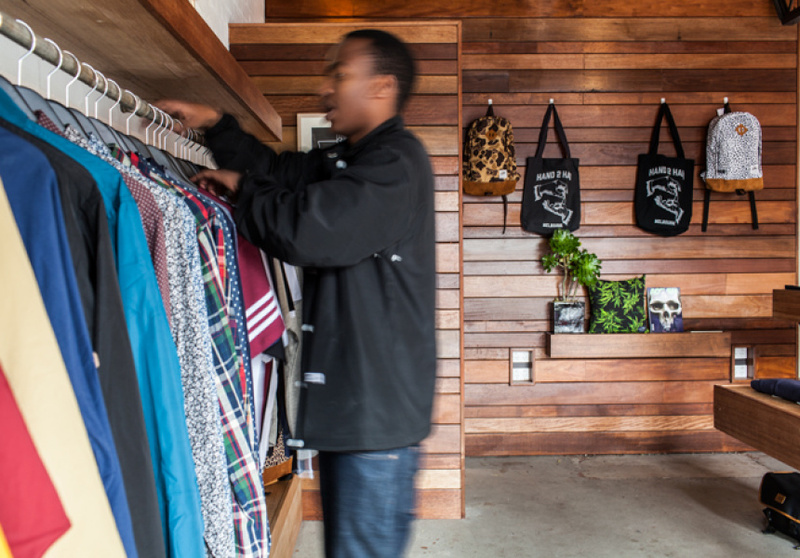 Owner Alini Allen stocks a thoughtful and concise selection of men’s streetwear. Melbourne label Grand Scheme sits alongside offerings from New Zealand’s Sly Guild and cult American brands HUF and Benny Gold. With backpacks and caps hanging off the walls and pants and socks nestled in nooks throughout, the store is also the exclusive stockists of London’s Too Much Posse and Durkl from Washington DC. 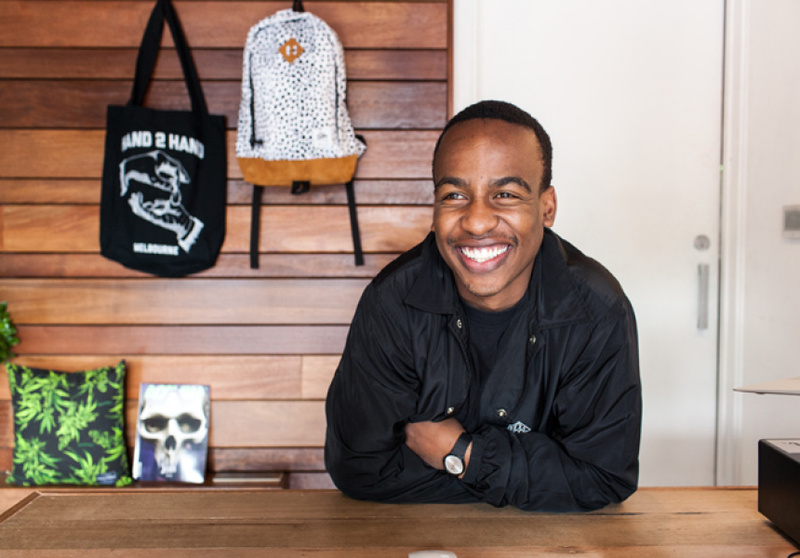 The in-house Hand 2 Hand brand also offers a range of tees and hoodies, and new labels are introduced frequently to the rotation. It’s a little store (there’s only one change room) but it invites a laidback and personal experience. 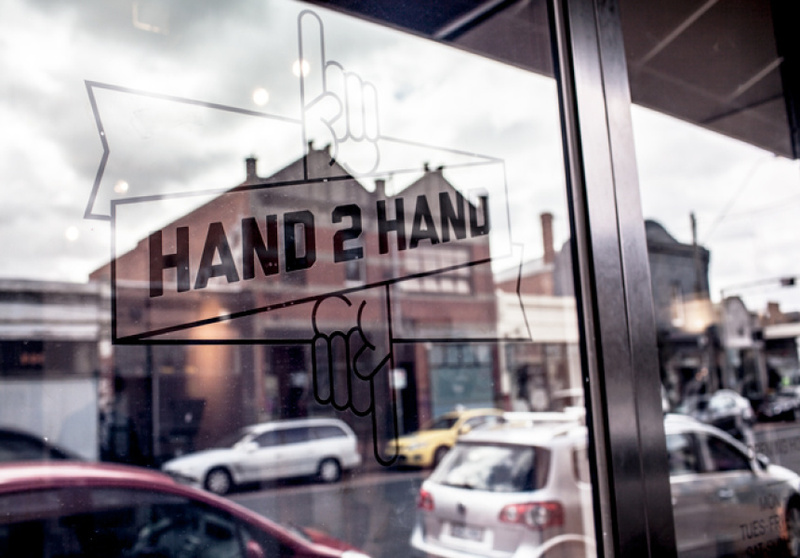 Simple, economical and well curated, Hand 2 Hand stands apart from other streetwear stores throughout the city. All stock is available via the online store too.